Alken Engineering Ltd is a leading specialist in the provision of engineering services to North West manufacturing located in Thornsett, New Mills, North Derbyshire. Established 1975 it moved to its present purpose built premises in 1999. Due to increased customer demands these were further extended in 2002 and 2008 to give a floor area in excess of 30,000 sq ft. The family-run business currently employs some 50 personnel with an annual turnover in excess of £4.5m. 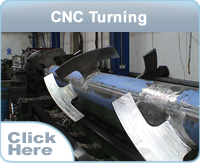 The company provides a complete machining service to customers throughout the UK & Germany. Engineering to customer supplied drawings, samples or instructions. 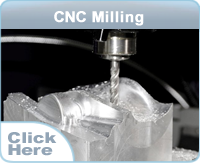 In-house programming and design facilities using “state of the art” CNC programming systems. Binns & Berry Centre Lathe – 1m swing over gap, 11.5m between centres, 10 ¼” through the spindle, rear mounted chuck on the headstock. Binns & Berry Centre Lathe – 6.0m between centres. Seiki Hamai long shaft Keyway Miller. Hartley Brookes Hydraulic Bar press 8mtr. Mas VR4 Radial Arm Drill. Asquith ODI Mk2 Radial Arm Drill. Corona small Radial Arm Drill. Faro Arm – 5 micron. Plug gauges, micrometers, surface finish testers. Height gauges , bore gauges. 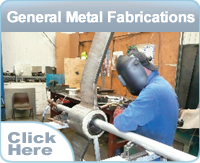 The Fabrication Department employs 22 time-served Fabricators/ Welders who are qualified to both European and ASME IX standards using MIG, TIG and SMAW procedures. Fabrications up to 10 tonne capacity. 350 Ton x 3m Cincinnati SBA 410 Press Brake. Adira – 4m x 150 tonne Press Brake. Edwards Pearson 4m x 12mm Guillotine. Morgan Rushworth 2m Box & Pan Folder. Morgan Rushworth 4′ x 6mm Rollers. Roundo 1250 x 4.5 Sheet Rollers. Anayak Section Bender – <150mm Dia Tube. Memoli universal Rotary Tube Bender. 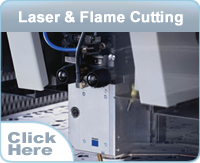 The company offers flame cutting, plasma and laser cutting using CNC equipment. Trumpf 4KW Laser cutting 1250 x 2500 x 3mm stainless steel, 15mm mild steel. Our Apprenticeship scheme provides the opportunity to ‘earn while you learn’, and offers exciting training and career development opportunities, we annually recruit apprentices. Alken Engineering strongly supports and encourages its staff to maintain and upgrade their skills. The company is accredited to BS EN ISO 9001 : 2008 and all Alken personnel are committed to providing the level of quality and service required to satisfy the demands of clients and customers. Alken Engineering Ltd prides itself in offering a complete Management Quality System. Management and employees are fully committed to delivering this goal. Alken Engineering Ltd adheres to a strict Health & Safety Policy which is constantly being reviewed and updated to meet ever-changing regulations and legislation. Alken Engineering Ltd will treat all enquiries and orders with the strictest integrity and is pledged to safeguard the confidentiality of all information received, including customers’ intellectual property. Alken Engineering will not pass on to any 3 parties any information relating to its customers or its customers business.